The Bonita Springs Islamic Center was established in 2005 as an independent and nonprofit organization in Bonita Springs, FL with the goal of providing a place of worship for the Muslim community as well as undertaking Islamic religious, charitable, educational, and cultural activities. We seek to foster a Muslim community based on the Islamic principles of equality, solidarity, tolerance and generosity. Our goal is also to promote interfaith dialogue and provide information about the Islamic faith at different levels of inquiry. As a Muslim community we adhere to the teachings of the noble Quran and the Sunnah / teachings of prophet Mohammed Peace Be Upon Him and promote knowledge and better understanding of the Islamic faith. 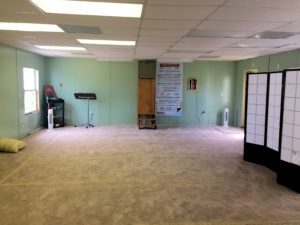 Click here to learn more about some of the current Projects of the Bonita Springs Islamic Center.